In 1997, Fired Up Restaurant Concepts acquired the only five existing Johnny Carino’s Italian Kitchen and grew this much loved Italian-American restaurant to include many signature dishes that respect the authentic Italian traditions, while creating unique flavor profiles that express Johnny Carino’s passion, creativity and commitment to quality food at a great value. With over 130 locations in the US and 10 across the Middle East (including Bahrain, Egypt, Kuwait and the United Arab Emirates), Johnny Carino’s has changed the face of American-Italian dining experience here and around the world. And now they intend to ensure a safe and tasty dining experience for those of us avoiding gluten. The new menu includes gluten-free versions of Carino’s classics, such as the Skilletini and Spicy Shrimp and Chicken. As for pizza, they’re partnering with our favorite Colorado-based Udi’s Gluten Free Foods, which will provide a gluten-free pizza crust made with tapioca, brown rice flour and egg whites. Note that it’s gluten-free, but not vegan. 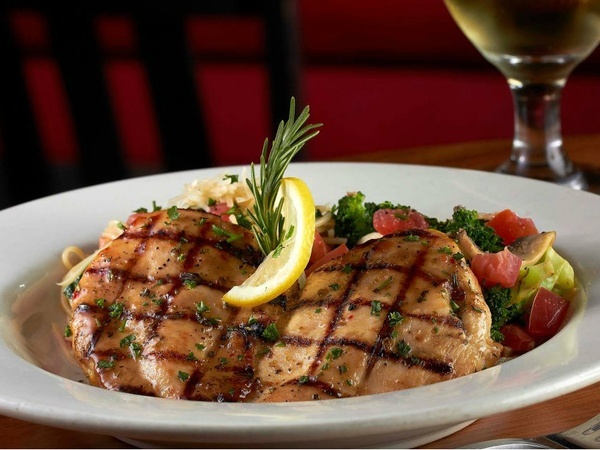 The new menu meets FDA guidelines for gluten-free status, says Johnny Carino’s culinary vice president Chris Peitersen. “I developed the new recipes by utilizing gluten-free ingredients, consulting nutritional experts, and working in conjunction with Analytical Food Laboratories to conduct the actual scientific testing of the menu items,” Peitersen says. From Create Your Own Pasta options with gluten-free spaghetti or penne served with choice of Tomato or Spicy Marinara to pizza served on Udi’s GF crust and Shrimp Florentine made with Jumbo shrimp sautéed with fresh spinach, Roma tomatoes and gluten-free spaghetti in a lemon butter wine sauce, Johnny Carino’s has something for every palate. And if your kiddos are looking for something outside of pasta and pizza, they include a Grilled Chicken made with gluten-free spaghetti and tomato sauce or fresh vegetables. Check out their Gluten-free Menu here for their current list of options, and this link for a list of Carino’s locations. « Enter to win Stubbs Certified Gluten-free BBQ Sauce & Meat Rub FREE!